Attached is a report that was forwarded to me from a local fair housing advocate. Evidently there are federal complaints that allege that, once insurance providers become aware of the presence of Section 8 tenants at an insured property, they have either canceled the existing property insurance policy or required a higher premium to continue coverage, and that these actions have a disparate impact on protected groups, such as racial minorities and people with disabilities,thereby violating the Fair Housing Act (FHA). First Rate Property Management participates in the local Section 8 Voucher program, but we have always left it up to each individual owner to decide if they want to participate. Tenants with vouchers pay a small part of the monthly rent and the remaining amount is covered by federal funding. This is not a short read and I found myself having to reread several paragraphs to really understand some of the arguments. Here is the summary: The feds are saying that insurance companies canceling or charging higher rates for voucher programs causes discrimination via Disparate Impact. 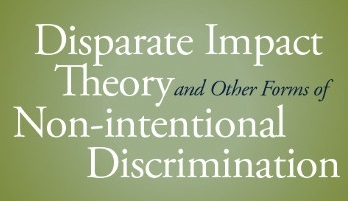 The theory of disparate impact holds that practices in employment, housing, or other areas may be considered discriminatory and illegal if they have a disproportionate "adverse impact" on persons along the lines of a protected trait. Although the protected traits vary by statute, most federal civil rights laws include race, color, religion, national origin, and gender as protected traits, and some laws include disability status and other traits as well. The insurance companies are saying they should be exempt as insurance is risk-based and what the feds want interferes with state regulations. First Rate Property Management has not seen where insurance companies have cancelled or increased premiums to those clients of ours that participate in Section 8 Housing. We're not even aware of the insurance companies asking. Nor have we seen any higher insurance claims on any of our properties with section 8 housing. We all need insurance and as a business owner, I have a ton of it and pay thousands of dollars a month for auto, medical, business liability, property, and E&O. I think the feds got involved with the medical insurance and I don't know how it is working for all, but my medical insurance went up 41% this year and I had $0 go towards my deductible. That's just wrong.